What an absolute gem of an amontillado, ladies and gentlemen. Not had a glass of this – for far too long – 2015 if this blog is to be believed. So a happy reunion when I was given this last night by David Robledo at Santceloni, paired wonderfully with a rodaballo confitado in jus de champignon. In fact it showed its class in general – concentration of flavour but elegant, dry and fine. It was a night of fantastic pairings, and this followed a a 20 year old malvasia madeira wine from Henriques & Henriques. 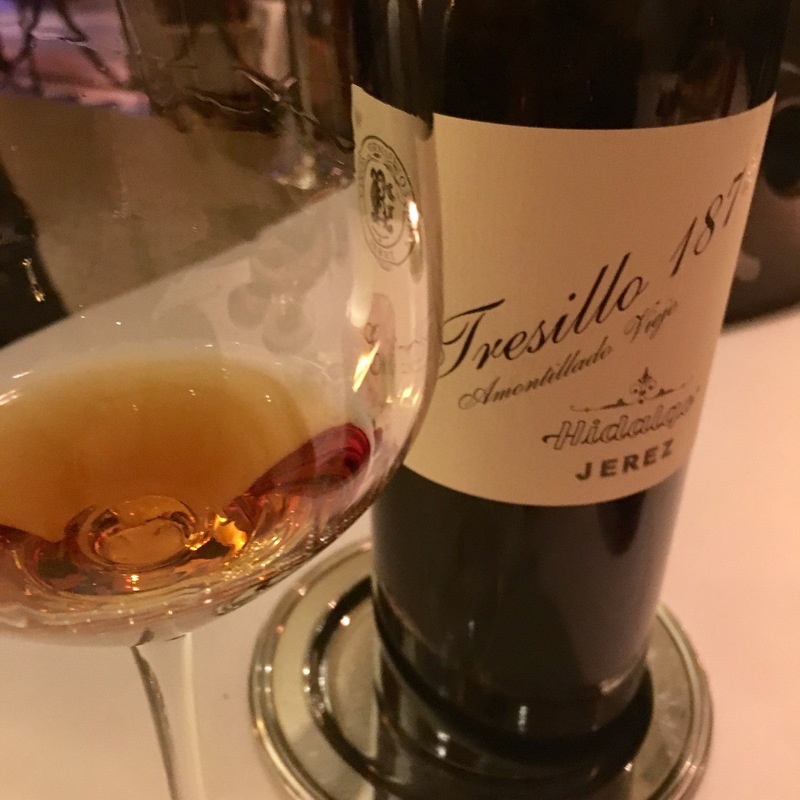 That comparison was itself fascinating – and may have added to the impression of dry elegance in the amontillado, but I also found the amontillado more aromatic, and expressive in aromas of caramel, sawdust and citrus, even a suggestion of brandy. Fantastic stuff – no way will it be another year before the next glass.